Hello, my name is Anand & I am a Chartered Accountant working with a corporate house in Bombay. 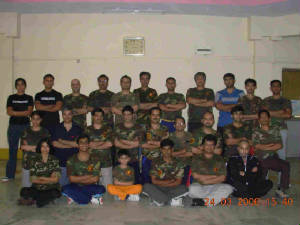 My journey in Jeet Kune Do (JKD) began in May 2008. 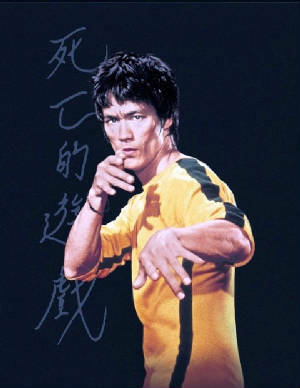 Somewhere in the beginning of the year 2007, while watching TV I had came across a show on the Discovery Channel profiling Bruce Lee and the martial art Jeet Kune Do. I did not understand much of it but I impulsively looked on the internet for some such class that could teach me martial arts & was fortunate to find the JKD India website...of course I did not realize it then & just stored the contact number on my phone. While I was always enamored by the mysticism of the Martial Arts, I believed, that at the age of 25 my time to learn the Arts had passed. (Thanks to watching all the stereotypical kung-fu movies!). It was not long before I forgot about my interest & I was immersed in working hard in my chosen career path with an aim to earn loads of money….the ultimate object being - to have a 'better' life. As is the case with all, while leading an imbalanced life..Focused only on the material aspects I reached a point of frustration & irritation with myself that prompted me to finally enroll for the JKD course with JKD India one whole year later. It was here that I met my teachers, Prof Dr. Rao, Dr. S Rao, & others. Over the initial period of my training I began to understand what JKD is. I was naïve in thinking that JKD was just about the kick & the punch, not realizing that these were just mediums to my spiritual development. Truth be told, I had never even dreamed that there would be an aspect concerning the refinement of the mind and the thought process. ...From the Physical to the Spiritual...Of course the physical sessions were tiring...but even more tiring was the process of thinking on various aspects of life (something which most of us in the corporate world never do). On a spiritual level, I learnt to respect my life as well as those of others including all other creatures. This was the difficult part of my life & what led me to give up the consumption of non-vegetarian food. This was done at two levels namely a) an understanding that the non-vegetarian food had adverse physiological impact on the body & b) a compassion for another living creature. Having been a regular consumer of non-vegetarian food for 27 years, I had to break the conditioning of the past & am now happy for doing so. To sign off I would say that the greatest influence of JKD has been in my thought process. Whereas one can see quite easily the physical changes that manifest, what is invisible to most is the change in the mind. I have heard my teacher say, that there is no Jeet Kune Do man, only a man who applies Jeet Kune Do to various situations or problems. He who applies is king whereas he who doesn’t will bear the consequences. I found this out the hard way...by slipping up on my training, by paying more attention to material goals & ignoring my personal development, in effect losing sight of that which is important. To me, this also turned out to be an important part of the learning process where I realized that Jeet Kune Do is not about passing an exam or obtaining an academic certificate..It knows no class...no creed...no affiliation..But what it is ...is what you take out from it..That which you apply!